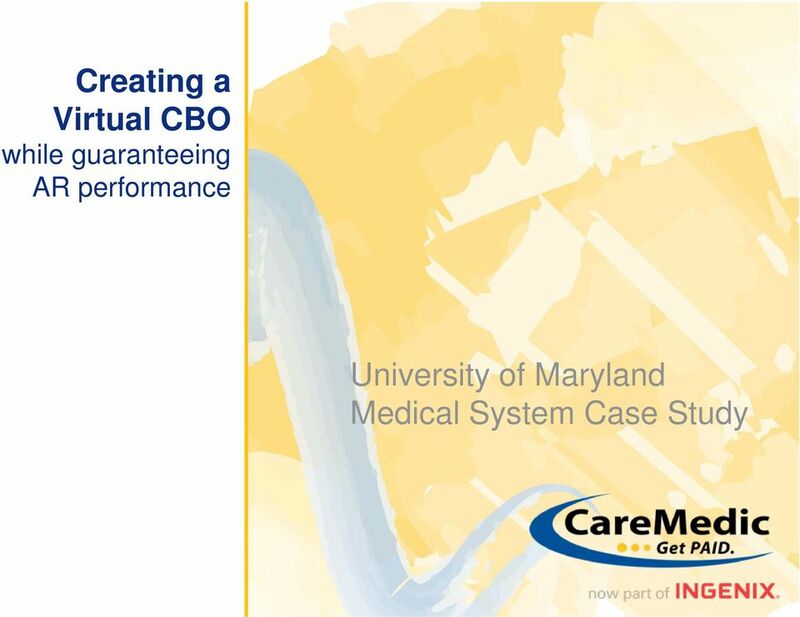 Download "Creating a Virtual CBO while guaranteeing AR performance. 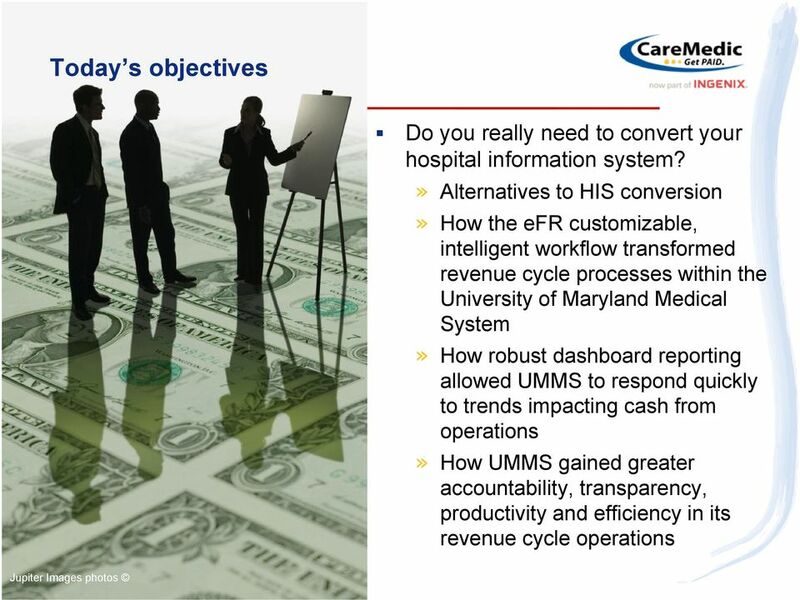 University of Maryland Medical System Case Study"
3 Conversion Aversion Hospital information conversions are major events that put significant pressure on all departments and processes within the revenue cycle The result of HIS conversions typically include:» Increased DNFB and unbilled» Increased AR days» Decreased cash collections How can you avoid conversion and extend the life and functionality of your existing hospital information system? 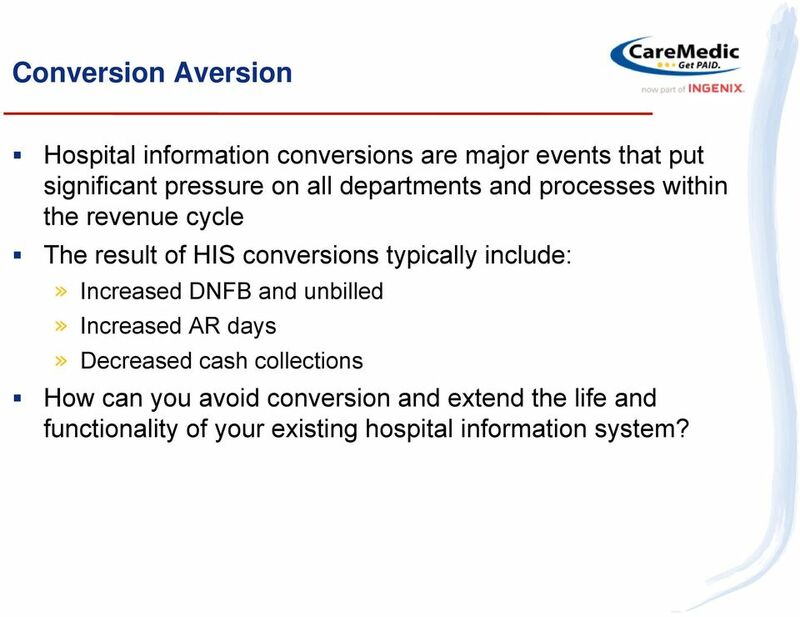 9 Go from this Medical Necessity Check Claim Submission Contract System Registration System Eligibility Verification Black Hole Claim Denials Compliance System Claims Mgmt Patient Registration Black Hole Patient Accounting Remittance Payment Healthcare providers maintain a number of disparate systems to help manage the revenue cycle. Unfortunately, they are not integrated. 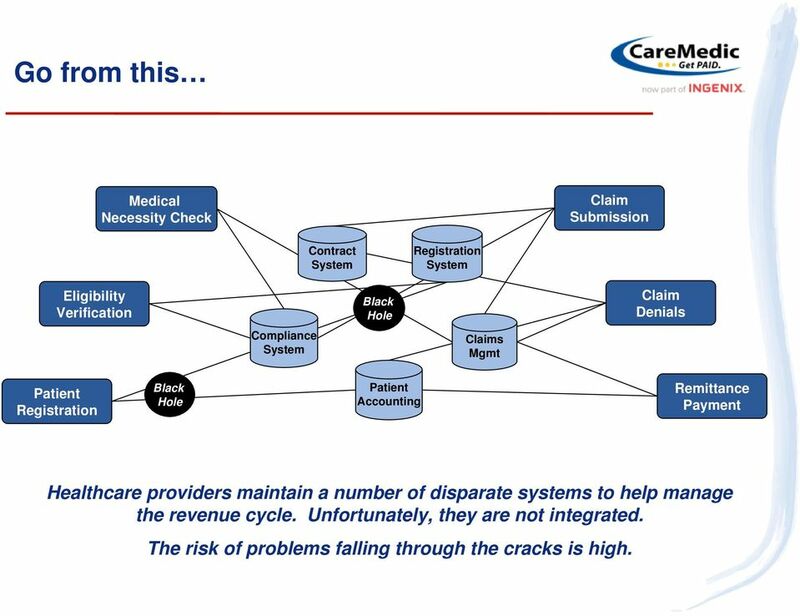 The risk of problems falling through the cracks is high. 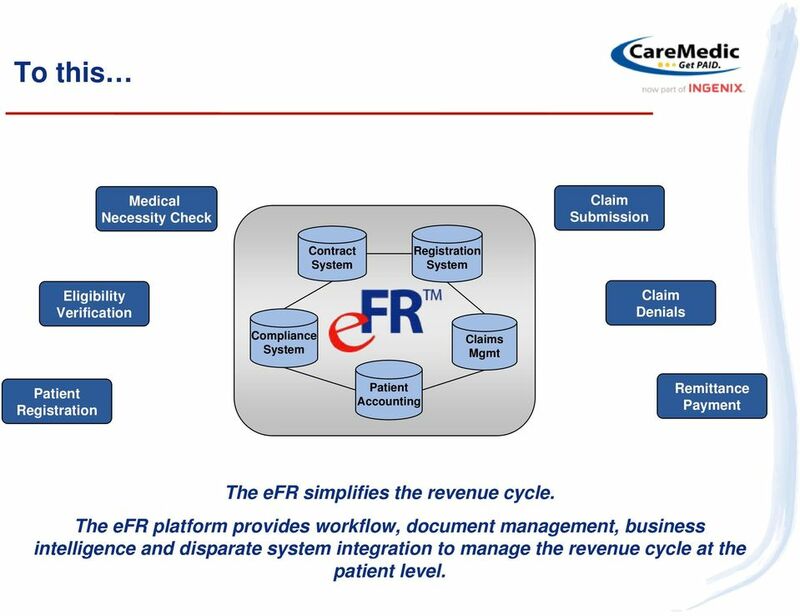 10 To this Medical Necessity Check Claim Submission Eligibility Verification Compliance System Contract System Registration System Claims Mgmt Claim Denials Patient Registration Patient Accounting Remittance Payment The efr simplifies the revenue cycle. 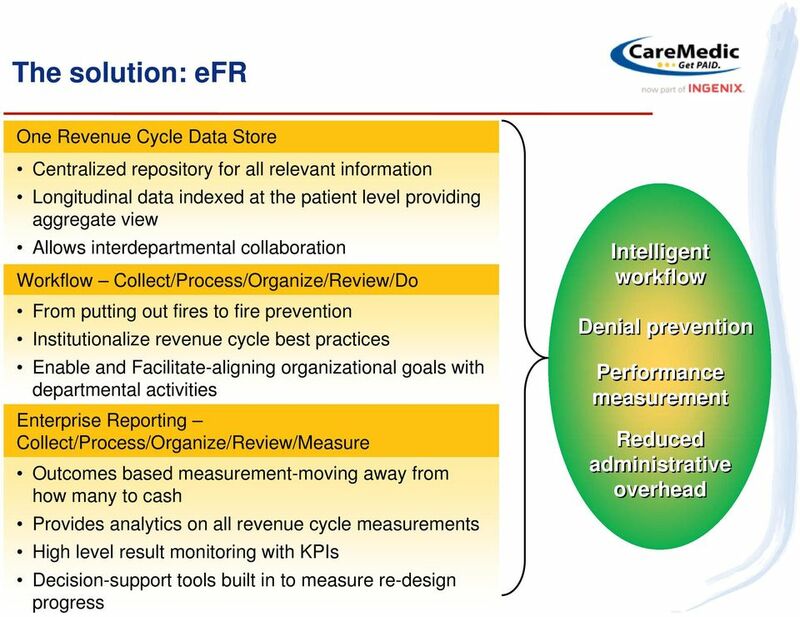 The efr platform provides workflow, document management, business intelligence and disparate system integration to manage the revenue cycle at the patient level. 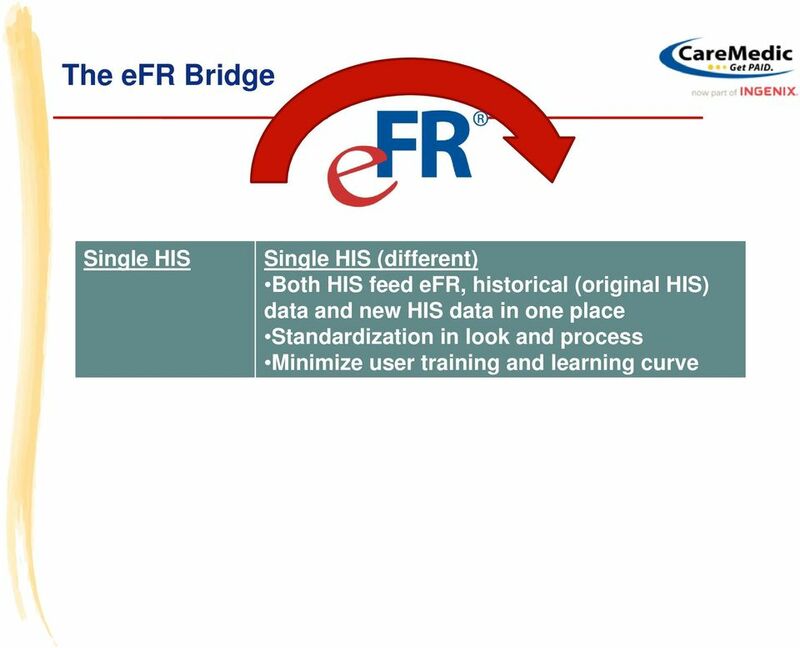 21 The efr Bridge Questions? 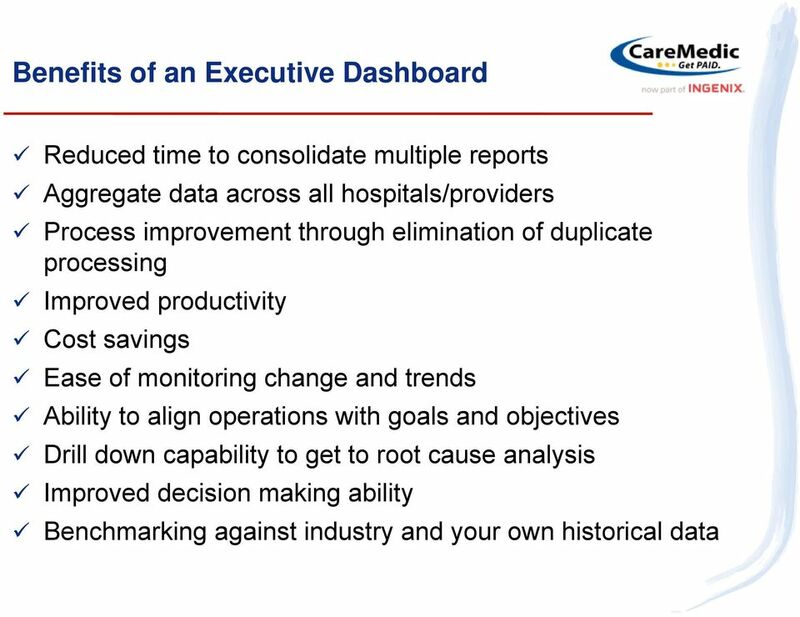 EDI Services helps healthcare network streamline workflow, increase productivity, and improve revenue cycle management. Denial Management Process. 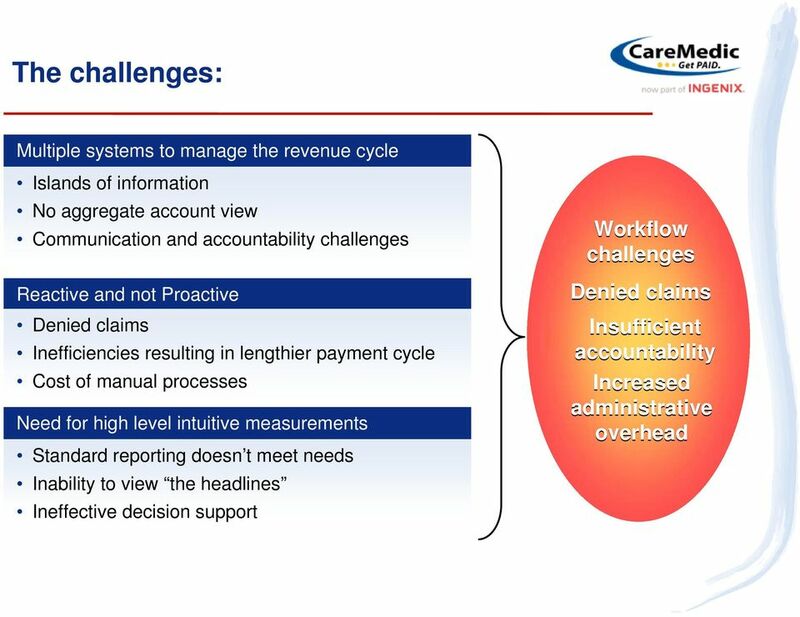 Strategies to ensure that claims are received and PAID!! 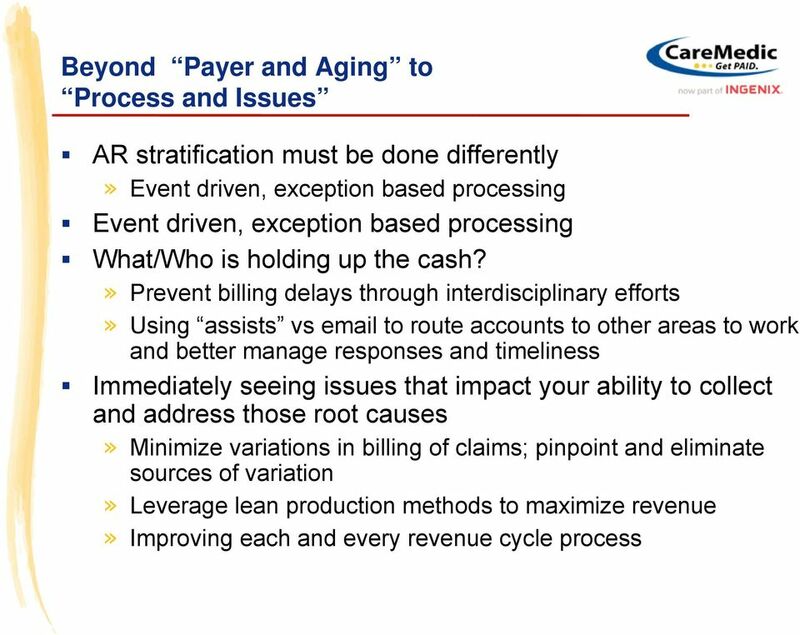 All Things Access Management: What s s in Your Program? 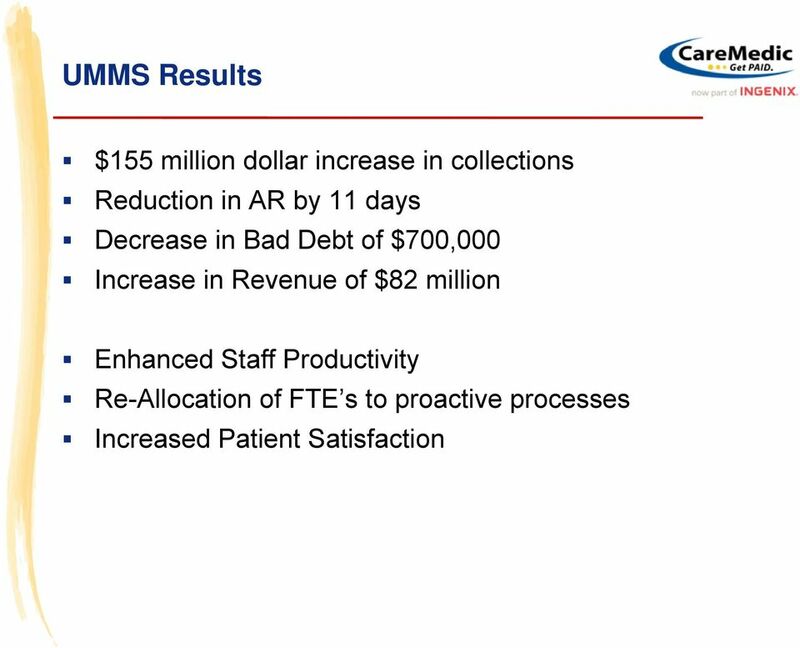 Measurable Results: Establish service excellence. 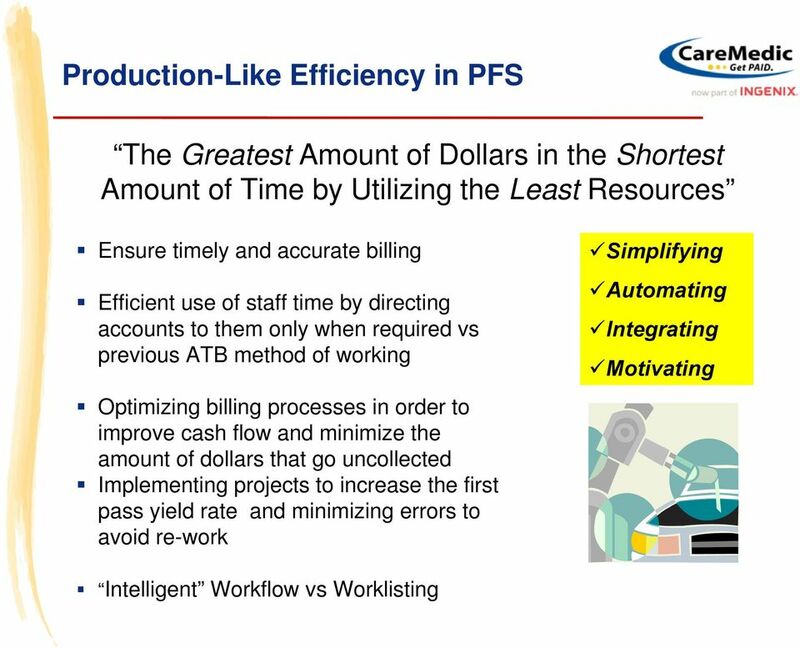 Reduce errors by 50% The choice for progressive medical centers. 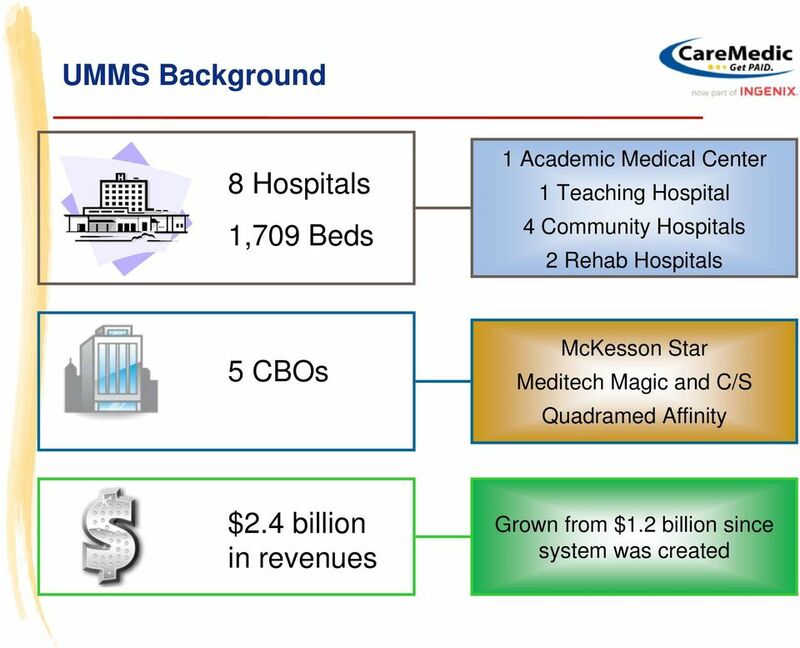 The choice for progressive medical centers Delivering tailored solutions to modern healthcare organization complexities by integrating a unique blend of strategies with wide-ranging industry experience. treating technology as a luxury? 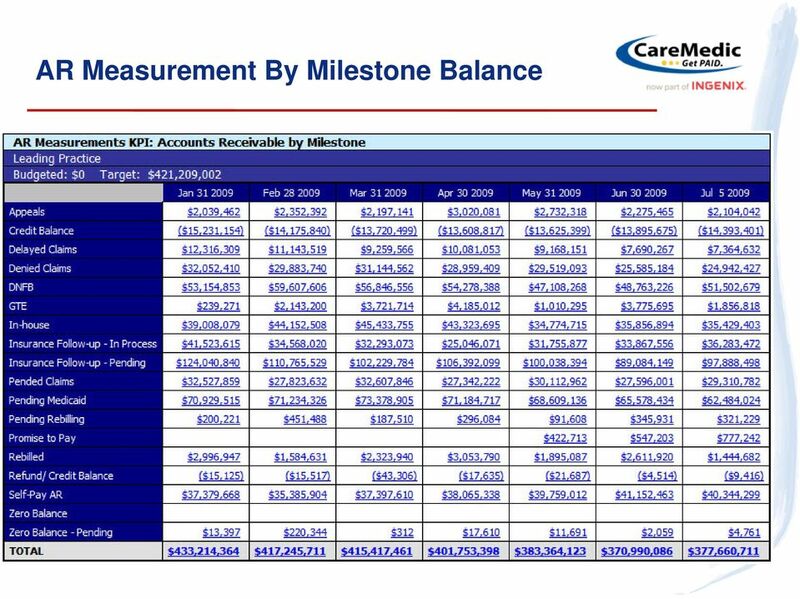 The New Vision of Health Care Revenue Transformation Chuck Lund Mid Atlantic Health Services Financial & Employee Transformation Solution Leader (571) 382-6777 How would you rate your own revenue cycle? 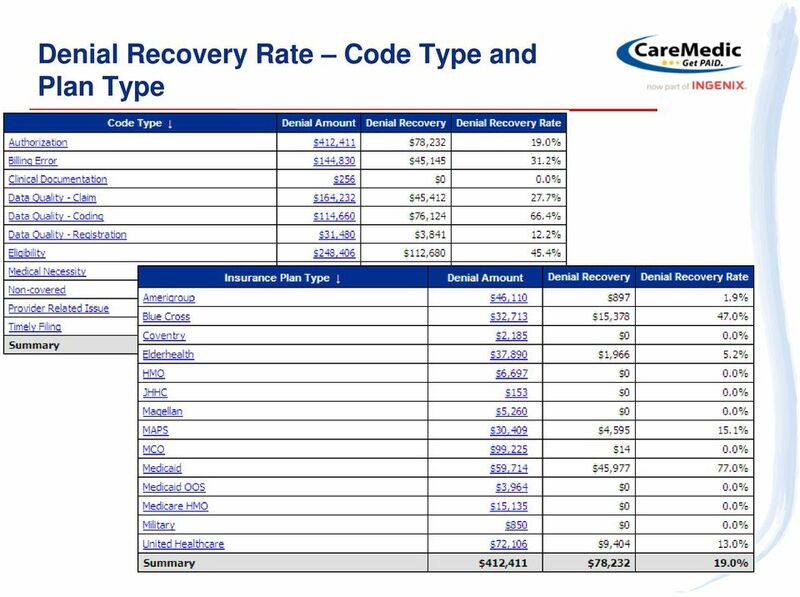 PUBLISHED BY: CareCloud Corporation 5200 Blue Lagoon Drive, Suite 900 Miami, FL 33126 Phone: (877) 342-7517 Email: hello@carecloud. 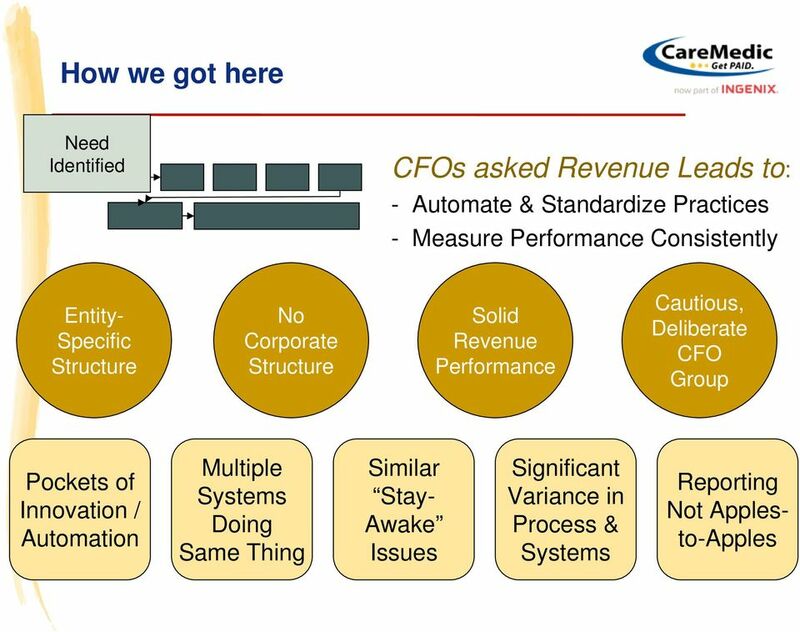 Hospital Performance Management: From Strategy to Operations Every hospital wants to be on top in terms of revenue and quality of care. It is tough enough to get to the top, but tougher still to stay there. 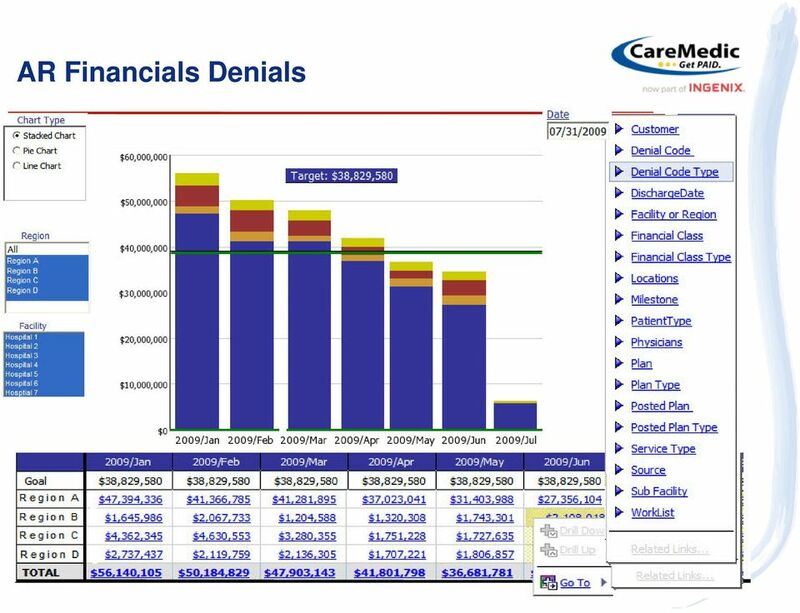 The Changing Landscape of Healthcare and What it means to you! 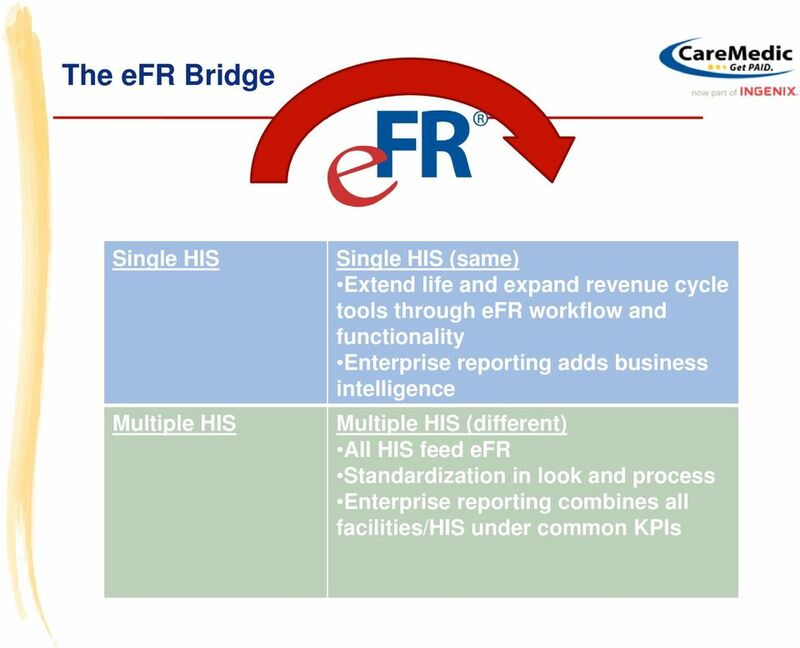 MDaudit Compliance made easy. 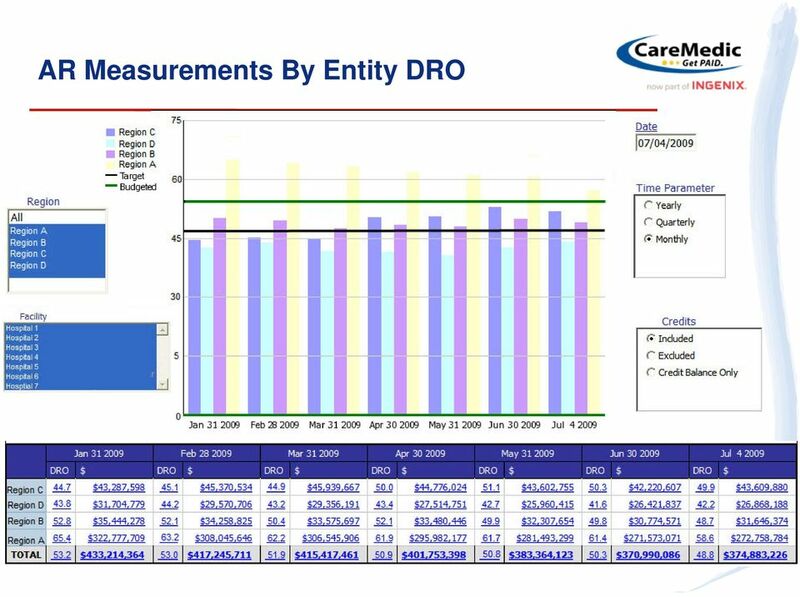 MDaudit software automates and streamlines the auditing process to improve productivity and reduce compliance risk. 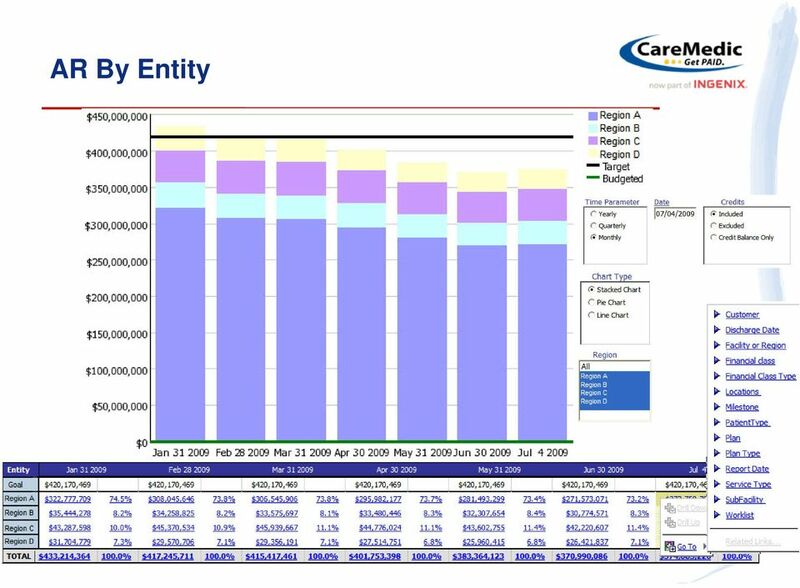 Our Descriptive, Predictive and Prescriptive analytics provides the ability to Follow-The-Money and transforms your Revenue Cycle with ease.